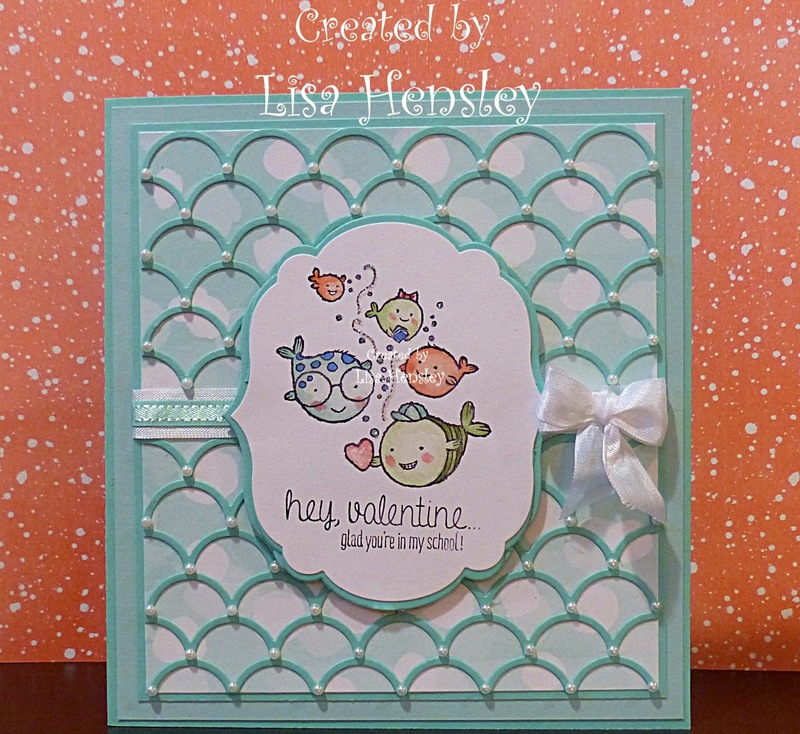 The Shabby Stamper: Hey, Valentine! I bought this set for these cute little fish -- love them! You ca't see it, but there is Dazzling Diamonds glitter on the bubbles. I love the look of the Scallop Stripe die cut against the Best Day Ever dsp -- very soft and subtle.